Kermit the Frog is famous for his line "It's not easy being green." During this environmentally conscious time, companies everywhere are looking to be more responsible in their energy usage and impact to the environment. The Walt Disney World Resort, as well as the entire Disney Corporation, is working hard to be proactive in its "green" practices and initiatives. Disney has implemented energy-saving fixtures and other changes throughout the property in order to become an EPA "Energy Star Partner. Result: The original implementation of the program saved enough energy to power Disney’s Animal Kingdom in its first year of operation. Disney World is changing out the light bulbs used in the Resort guest rooms to the more energy efficient compact fluorescent bulbs. Result: when completed 176,325 bulbs will have been changed out. LED lights are being used to replace neon lights in many signs, decorations, and holiday trees. These LED lights are use far less energy and last longer. The lighting of Cinderella's castle during the Christmas holidays is done with LED lights instead of traditional incandescent lights. Over 170,ooo LED lights are used. Result: The entire castle is lit using the energy equivalent of 12 microwave ovens. All 23 resorts on the Disney property had receive Florida's Green Lodging certification. To achieve this special designation, resorts must focus on five categories: water conservation, education and awareness, waste reduction, energy conservation and indoor air quality. 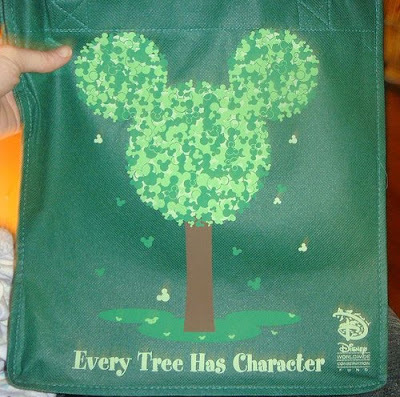 Disney World has instituted a Resort wide recycling program. The Disney World Resorts have instituted a water conservation program that focuses on reducing overall usage and using reclaimed water wherever possible. Result: Over 30% of the resort's overall water consumption is met with reclaimed water. Disney World Resorts and restaurants have gathered excess prepared food and donated it regularly to the Second Harvest Food bank to be distributed in central Florida. Result: Over 1,000 children are fed weekly through this program. In 2007 this program donated over 625,000 pounds of food to the local hungry in central Florida. Disney World even makes use of the animal waste that is produced by the animals in Animal Kingdom and the Tri-D Circle Ranch (Ft. Wilderness). Result: In 2007, over 3,520 tons of manure was sent to the composting facility leading to the production of almost 542,000 pounds of compost daily. 1 comments to "9 Environmentally Green Initiatives From The Walt Disney World Resort"
Great blog post! I knew they were doing lots to forward the "green travel" movement, but had no idea there was this much!